SES is a world-leading telecommunications satellite operator with a global fleet of 53 satellites. With a worldwide coverage area, our satellites broadcast media content to hundreds of millions of homes, establish flexible and cost-efficient communications services for corporations, telecommunications providers, government agencies and public institutions on six continents. 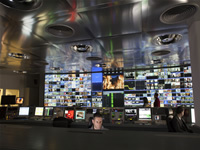 SES operates the worlds leading TV distribution platform via satellite. 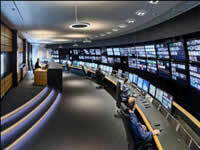 In 2012, our satellites broadcast 5,500 TV channels of the worlds leading broadcasters to 258 million homes worldwide. With 1,500 channels broadcast in high definition format, SES also provides the premier platform for the distribution of HD content. SES offers satellite capacity for direct-to-home broadcasting, feeds for cable networks and digital terrestrial networks, as well as occasional use and full-time video contribution services. We also offer a wide range of broadcast-related services, such as content management, playout and scheduling, uplinking and encryption. In the enterprise and telco customer segment, we provide VSAT networks, broadband internet access, mobile backhaul and trunking, maritime and aeronautical communications and many more services for corporate and telco customers worldwide. 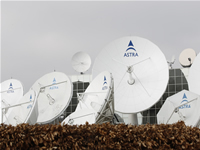 Our global satellite fleet and ground infrastructure, combined with our partner teleports around the world, ensures highest-level connectivity with the highest reliability anywhere in the world. Media broadcasting - the transmission of TV channels for direct-to-home reception, to cable networks, or for contribution purposes - is a key business segment that represent close to 70% of the companys revenues. Services provided to the enterprise and telco customer segment generate approximately 18% of revenues, with services to government agencies and institutional customers making up the remainder. 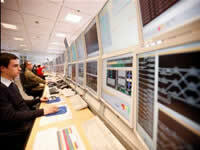 At year-end 2012, our global satellite fleet carried a combined capacity of 1,436 transponders (in 36MHz-equivalents). In order to upgrade, renew and expand our in-orbit capacity, SES conducts an ambitious multi-year investment programme. In 2012, SES successfully launched three satellites: SES-4 (338° East), SES-5 (50° East) and ASTRA 2F (28.2° East). These satellites added a combined total of 129 C-band and Ku-band transponders to the SES fleet to serve demand in the growth markets, and provided Ka-band capacity at 28.2° East to enhance satellite broadband offerings in Europe. At year-end 2012, SES had six satellites under construction, scheduled for launch between 2013 and 2015. This satellite replacement programme will result in a capacity increase of 22% compared to year-end 2011, with the majority of the new capacity being dedicated to the emerging market areas, Asia, Africa and Latin America.